We have a [high need] 5mth old. He has needed to be bounced to sleep, but has now gotten to heavy for me to do so at 19lbs…it’s not working anymore for either of us! 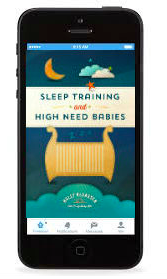 I would like to try sleep training and have read Ferber, Karp, Weissbluth, Sears and Pantley. BUT I don’t know which method to try! I am nervous that if I do let him CIO (cry it out) he will never stop crying and it may make things worse in the end. He already hates sleeping. What kind of experiences have other mamas had with sleeping training a high need baby? Have you tried CIO? Did it work for your baby? What age did you try? This brought me back to Sammy’s early days when he would sleep in 45-90 minute stretches, and wake up screaming. We tried everything we could think of, but he resisted falling asleep and seemed unable to stay asleep. We tried swaddling him, rocking him in his car seat, driving around in the wee hours of the night, the swing, white noise, co-sleeping…you name it, we tried it. With our first child, we were so concerned about starting bad sleep habits (heaven forbid our 3 month old old not be able to self-soothe), but with Sammy we were willing to do whatever it took to get him to sleep. If you have a high need baby, you’ve probably already figured this one out: Most of the sleep advice you’ll read in books seems more realistic for easy to average temperament babies. Hyperactive or full of energy – High need babies may be squirmy or be extremely restless sleepers, and may resist (at least initially) being swaddled. Demanding – High need babies know what they want and will voice it loudly! High need babies don’t generally whimper or fuss when they’re tired, they scream, making it more difficult to soothe them to sleep. Awakens Frequently – While you may find a technique that soothes your high need baby to sleep, he or she may only sleep in very short stretches. Many sleep training methods assume that once your baby is asleep, your work is done. With high need babies, that is only half the battle. Finding a technique that addresses short sleep cycles can be difficult. Unpredictable – What works one day could very well not work the next. He or she may fall asleep at different times each night, wake up at different times each morning (Sammy’s wake up time could be anytime between 4-7am), and seem to need naps at different times during the day. Many sleep training techniques assume a somewhat regular bedtime and wake-time, so parents find they need to adapt and adjust the technique to the realty of their baby. Super-Sensitive – High need babies can be very sensitive to loud noises or commotions, making staying asleep very difficult. You will often find parents of high need babies shutting down the normal activities of the household during nap-time so as not to wake the baby. Can’t Put Baby Down – If you have a high need baby, you may spent a good part of your day with your baby somehow attached to you. Often the only way a high need baby will sleep will be in mom’s arms, worn in a carrier, or latched on. This tends to be a more reasonable option when there aren’t other kids to take care of. 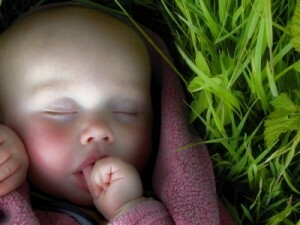 Not a Self-Soother – High Need babies often need significant help to fall asleep. These are not the babies who fall asleep peacefully in their cribs. Parents often need to develop elaborate soothing routines in order to help their baby fall asleep. If you’ve discovered certain strategies for helping your high need baby fall asleep – nursing, baby wearing, stroller, etc. – don’t let anyone tell you it’s ‘not ok’! Babies are little for such a short time, and there will always be time later to help your baby learn to self-soothe. If, however, your usual strategies aren’t working, and you’re unable to help your baby get the sleep he or she needs, there are ways you can help your high need baby sleep (and it doesn’t have to mean using cry it out!). You should expect that it will take a little longer and be a little harder than with ‘easy’ babies, but sometimes, we do what we have to do. Do I have to use CIO? Are there gentle techniques that work? Do I have to hire a sleep consultant or can I do it on my own? What have other parents of high need babies done to successfully get their baby sleeping?